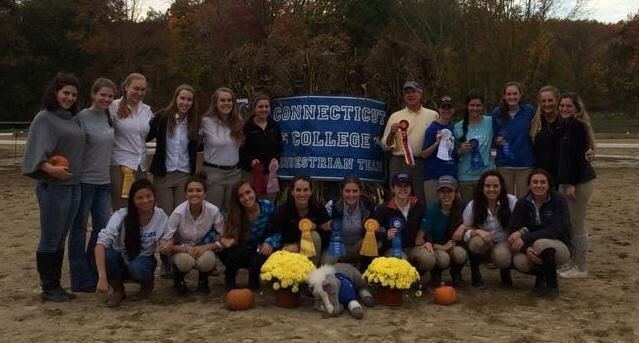 Welcome to the Connecticut College Equestrian Team! 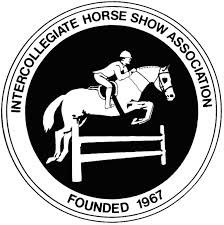 The CCET is a club comprised of around 30 talented and dedicated equestrians who participate in hunt seat equitation competitions within the Intercollegiate Horse Show Association. We are in Zone 1 Region 5 in the IHSA and compete against both varsity and club teams across Connecticut throughout the school year. Our team is made up of both showing and non-showing members that come from many different academic worlds as well as equestrian backgrounds. We ride out of Mystic Valley Hunt Club, located in Gales Ferry, CT, just a short drive north of our Conn Coll campus. Our coach, Richard Luckhardt, is also the General Manager and helps facilitate our wonderful relationship with the venue, staff, and horses. Prospective students/riders are encouraged to contact our coach, Richard Luckhardt, or any of our three friendly captains for information on team costs, showing details, and more. Please be aware that as a club sport, CCET cannot recruit riders and therefore does not have any impact on the admissions process. Feel free to take a look around and get to know the CCET family! Check out CCET's facebook page!